Knitting FAQs: What to Do If You Drop a Stitch? Every knitter drops stitches. You stop paying attention for a little while and suddenly you've got a loop that's slipped off the needle. If you didn't notice it fall, you might end up knitting several rows before you see the tell-tale ladders of yarn filling the gap where the stitch was dropped. When you see this in your knitting, don't panic. Knit over to the place in your work where the dropped stitch is. 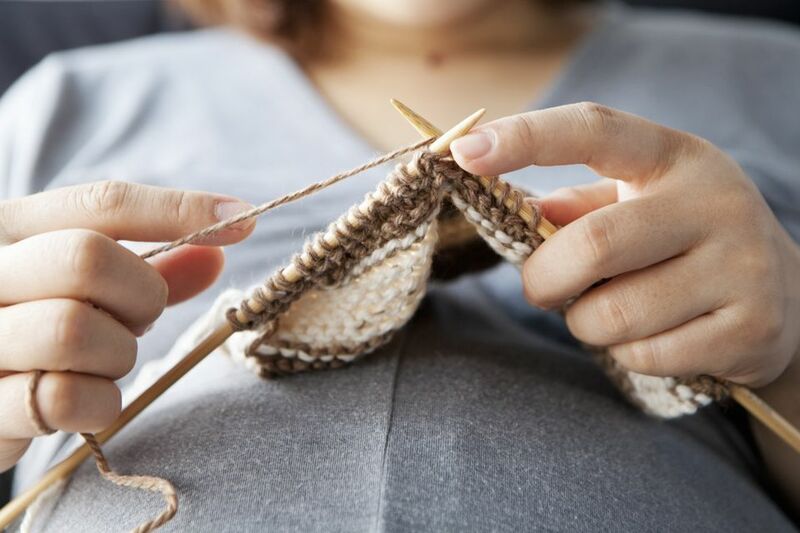 If you're working on a huge project and are quite far away from the dropped stitch when you notice it, pin the loop to your knitting with a safety pin so it won't be able to unravel more as you work. If you're picking up a dropped knit stitch, slip a crochet hook in the loop from front to back, grab the horizontal piece of yarn above the loop and pull that thread through the loop. Continue as many times as necessary. If you need to pick up a purl stitch, put the crochet hook in the loop from the back to the front, pick up the ladder of yarn and slip it through in the same manner. On stockinette stitch, you can also fix a purl stitch by flipping the work over to the knit side and picking up the stitch as a knit stitch. Just remember to turn the work back over and purl the rest of the row. Some people suggest ripping out the work you have completed since you dropped the stitch instead of using the crochet hook method. This may be necessary if you can't find the stitch you dropped but you know you dropped one because there's a hole, or if your pattern is complex and missing that stitch has messed up your design. This can be heartbreaking, especially if you have to rip out a lot, but it's better to notice the mistake now than to have a dropped stitch make a ladder all the way across a finished piece!